Joan Fullerton Paintings: Paint with JOAN FULLERTON in TUSCANY - May 2016!! 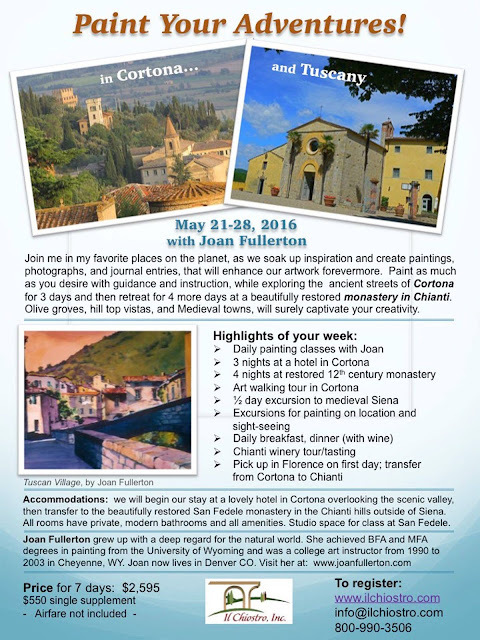 Paint with JOAN FULLERTON in TUSCANY - May 2016! !